In St. Louis, exterior house cleaning services from Shack Shine will impress you! Our trusted team is available to help you handle all of those tasks you really don’t want to have to worry about but know need done. We know you’re busy. And, we know you care about taking care of your home. That’s why our comprehensive house detailing service is available to you in St. Louis. 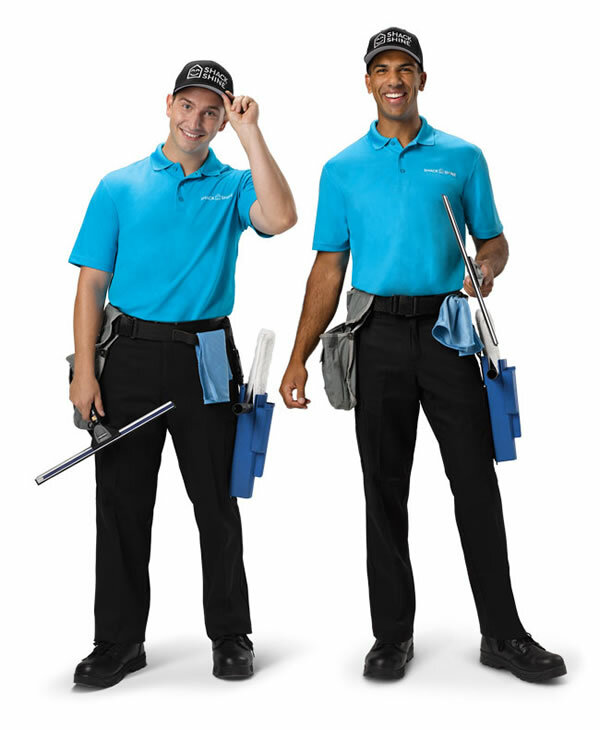 Our smiling, uniformed technicians will arrive on time at your home in shiny, organized trucks to complete your exterior house cleaning in one detailed visit. Even better, you don’t even have to be home for it. We’re happy to provide before and after photos so you can see the benefit we provide. 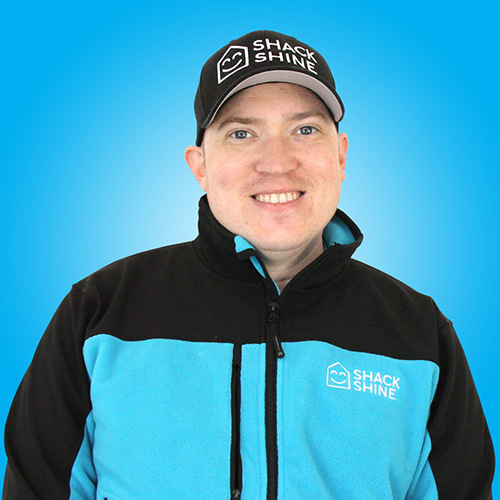 Shack Shine knows you want to take care of your home, but you need it to be easy. Gutter cleaning isn’t easy when you have to do it alone. When you let our experienced technicians handle it for you, we’ll handle the tough work. We use a high powered vacuum to pull all of the debris, leaves, and mold from within your gutters and put it into a large canister. We flush the system using our water-fed carbon fiber poles and wipe down the exterior of the gutters to ensure a positively shining level of clean. A key component of house detailing in St. Louis is interior and exterior window cleaning. You can depend on Shack Shine to create that beautiful, spotless look you are after. You don’t even have to be home when we arrive (just make sure your windows are closed before you leave!) You’ll have a home so bright, you gotta wear shades! Let us give you the view you want out of every window in your home – even those hard to reach ones! Shack Shine knows you need a beautiful home that impresses the neighbors. With our power washing services, you can strip away all of the debris, ground in dirt, oil stains, and weathering from the exterior of your home. We don’t need to use chemicals to create this level of clean. It’s very safe to use and won’t damage your landscaping. For St. Louis exterior house cleaning service, trust Shack Shine with your home’s pressure washing needs. We’ll use this service on your patios, driveway, walkways, and most other hard surfaces around your home. In doing so, you’ll have a like-new look in no time. You don’t have to lift a finger. We’ll move anything in the way and replace it for you. Exterior house washing is an important way to maintain the look of your home and also to prevent early deterioration of siding. It’s essential that you choose a provider who offers advanced methods that can strip away the grime and stains that the water in our area creates. Shack Shine can do that using a pressure washing method for hard surfaces or hand washing more gentle surfaces. We’ll help you make the right decision when we arrive. Your home will love you for giving it a good wash down! Roof cleaning is another difficult task. If you step away from your home and notice staining or discoloration on it, then it is time to call the technicians at Shack Shine. We’ll use the proper type of pressure washing to remove all of the moss and mold buildup from this surface, ensuring a like-new look. We make it easy for you to book and even easier to recommend our services, including roof cleaning, but ensuring we provide an exceptional job every time. Like a ray of sunshine on a cloudy day! Shack Shine is excited to offer you our residential Christmas light installation services. We offer commercial quality Christmas lights that are energy efficient and are brighter and longer lasting than the typical store-bought Christmas lights. There is a wide range of colors and shapes for you to choose from to customize what’s best for your home this holiday season. After the season we’ll return to take down the Christmas lights and pack it away neatly for easy installation next year. I’m a St. Louis native with over ten years experience in the residential and commercial housing industry before making the leap into entrepreneurship and becoming self-employed. In my spare time, I enjoy exploring the many beautiful outdoor spots in rural Missouri with my wife and three year old daughter.